Sometimes, dreams don’t come true when we want them to. Sometimes, waiting can be the most impossible feeling. Sometimes, we wonder if life will ever take us where we want to be. Sometimes, life takes us where we need to be. I have had an interesting month…full of potentially life changing decisions. At the start of the month I have to admit, I looked at the lives of my friends around me from college and turned green with envy. Among all of our lives, I felt least successful and sort of trapped. When I was little and thought about being 26, I imagined myself traveling the world, married, having a successful career, and of course at least one book published. I was a big dreamer! As we grow up, we realize that certain dreams can’t come true as fast as you hope and life doesn’t exactly “do as we say”. So what do we do in the middle of waiting for our dreams to come true? A thought hit me last week. I had made the decision to turn down a job offer where I saw certain dreams of mine suddenly in reach. After my decision, of course I was like, “Crap! I totally threw my chance away!” And I really wondered if I had made the right decision. I thought to myself, Autumn, true, you may have been unhappy at work, but you would have had this…and that…you wouldn’t have been in this horrible phase of constant waiting. We humans are impatient creatures. I mean…we LOATHE waiting for things. Take being stuck in traffic, for example. 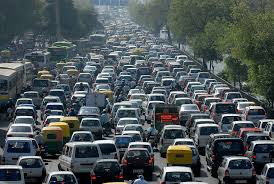 No one in their right mind says, “I LOVE traffic jams!” We all hate them! We left the house a happy and kind person and then suddenly turn into a roaring (green) beast, waving our arms, shouting, honking, about to mash things hulk. Most technology these days all has the same goal: to be faster. I was hit with the thought, life will be full of waiting…no matter what we can invent…we will have to wait…it is just life. So what do we do, while we wait? Abraham Lincoln said, “Whatever you are…be a good one.” No matter what phase you are in life, be good one, strive to give your best. No matter what job you have, find what little ways you can excel and even learn. No matter if you are married, engaged, single, or dating be the best one…be the type of person who you would want. No matter if you are a national best seller or a writer which whom no one knows your name…don’t make any excuses, give it all you got. Waiting for things can actually be a gift. Maybe we aren’t given things now because now we aren’t ready for them as a person. Maybe if we got all of our dreams at the snap of our fingers we wouldn’t have the experience, the growth to succeed with them. Learn to take the wait and do all you can in that time so when your dreams come true, you’ll be ready. You’ll take those dreams and fly. One particular day I got off of work at 2:30pm and was out the door starting my walk at 3:10pm. I was ready to create. I was ready to dream up some words. I was needing to hash out an important scene from the climax portion of my novel….my thoughts were bound to run deep…especially since it was on my mind since the morning. When the writing creating gets into gear as I walk it’s like I am in a bubble…untouchable. My legs work like a motor-car on a track walking the same rounds I have walked about 10 MILLION TIMES. He scrunches his eyebrows and I walk on (this motor doesn’t stop for anyone!). Suddenly a deep voice from behind me says, “Did you just wake up or something?” Laughter follows. He is just turning pink with laughter…I really added some humor to his day! I laughed along with him at myself and then continued on course. I also noted what time of day it was. 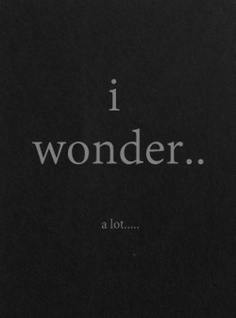 Have you ever been so absorbed in your thoughts or novel creation that you said or did something weird or funny?